Thread: Success with Simple Mobile! Just sharing my experience. I've been using my first cell phone since December with Straight Talk, using a Samsung R451 on the $45+tax plan. Everything went well with that. I decided to try Simple Mobile because for almost the same cost per month I can use a Smart Phone for $50 mo, with 50MB data. I'm mostly around Wifi spots, so this works for me. I bought an Acer Liquid S100 (unlocked GSM) for $380, which is apparently a "grey market" phone not supported in the USA, but it's one of the cheaper Android phones, and it has a nice 800x480 screen. It has nice box but the phone has language options only for Chinese and English. I ordered the GSM starter kit for $63 + ship via the Simple Mobile website. On day of activation I called SM and gave them my telephone number and the GSM and Acer phone identification numbers. SM ported the number over and within 1 hour I could make calls and send/receive txts. After 12 hours I could receive calls and my Straight Talk phone was offline. The non-Wifi Internet didn't work and I didn't realize this needed to be setup manually. 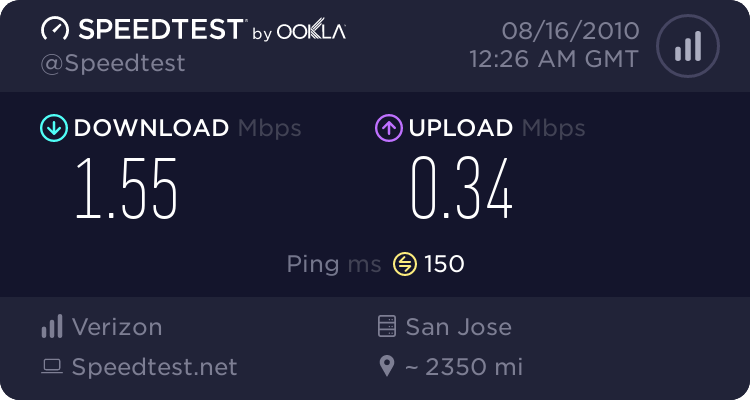 I found information online to do this and the phone can access the Internet connected via "Edge" -I'm not sure if this is 3G, but it's definitely faster than the 1G on Straight Talk. Anyway, so far I feel good about this change- $50/mo unlimited talk minutes and text and being able to use an Android phone (or other smart phone) seems like a great deal compared to the other ~$50/mo plans where you're locked into using a dumb phone. Yes, it is. It's good to hear you've been initially happy. How is the coverage? Some people act like the sky is falling if you don't have Verizon but T-Mobile should be fine for the majority. Does Simple Mobile use a T-mobile SIM, or do I have to get a T-mobile phone unlocked to use it? The phone will not ask for an unlock code with a Simple Mobile sim. "Edge" is what we call 2G. Most phones on ST have GPRS, which is 1G. As you have noticed, Edge is faster but true 3G is faster yet. If you don't download videos or audio on your phone, I would not worry about it. ST phones have 1xRTT (3G but considered 2.5G next to EV-DO & because speeds are similar to EDGE) which is like EDGE but a bit slower. I honestly wonder how long till the unlimited offer gets capped and what 'unlimited' really means with this company. Not to say I'm with them and had problems but I still wonder. Of course if people abuse it they could just take it away any time. So the unlimited is just going to be 1gb? I think it's all the widgets I have.. plus I'm always on YouTube, MySapce, etc. Which explains why I have 3 extra batteries, and a charger in my locker/backpack, and at my house.. I'm a heavy user I guess. It was hell sitting around all month hoping to run into wi-fi outside of school. I still don't see how a carrier can get away with saying unlimited but then set a limit on unlimited usage. They should just say 1 GB of data usage and not bury it in the TOS. They might as well said unlimited when they offered just 50 MB. They are effectively changing the meaning of the word unlimited. I need some judges at my website for a contest, PM me for more info. Be aware that if you attempt to use a tmobile handset with simple mobile, and still owe money to tmobile, at some point in time your messages will just stop working. This happened to me. It's a problem that simple mobile is not competant enough to handle. This is because it's actually tmobile who refuses to provide service to simple mobile customers under those circumstances. It is accomplished through the imei number on the phone. When you set up service the first time, you have to put in that phones imei number, and that's how the networks know what phone is being used. Tmobile will associate the emei number with the sim card. The problem can go unnoticed until there is some problem with simple mobile service and changes in programming have to be done. Such as switching phone numbers which require simple mobile to report changes to tmobile. IF you have too many times where this type of thing has to be done, tmobile will start noticing that you are using one of their phones, but paying simple mobile and they will simply just restrict the sim card, refusing to provide service to that card, and when you send a text message, you will get an automatic response back that says "message blocking active". When you take the phone in to the simple mobile store where you got the service from, they won't know what to do, because it's tmobile that's pulling the plug, and tmobile will act like they don't know either. It will remain an unresolved problem forever, until the sim card is changed. Then it's only a matter of time until the same problem occurs again. You see, tmobile don't want to shut it off completely because simple mobile pays them to use their towers, but at the same time, they use this method to force the customer to move on, and quit using a phone that they provided in exchange for a contract to the customer to pay for service for 2 years or so, when the customer has broken the contract in some way. T-Mobile is blocking you off the network because you still owe money on that phone that you got with the EIP. Pay the bill and you won't have problems, nobody likes a deadbeat. Simple Mobile MMS Settings for Windows Mobile?